Challenger parts have been a hit on AmericanMuscle ever since we have added them earlier this year and our most-popular product category just happens to be our Giveaway for this month. Coincidence? Nah fam, we did that intentionally! 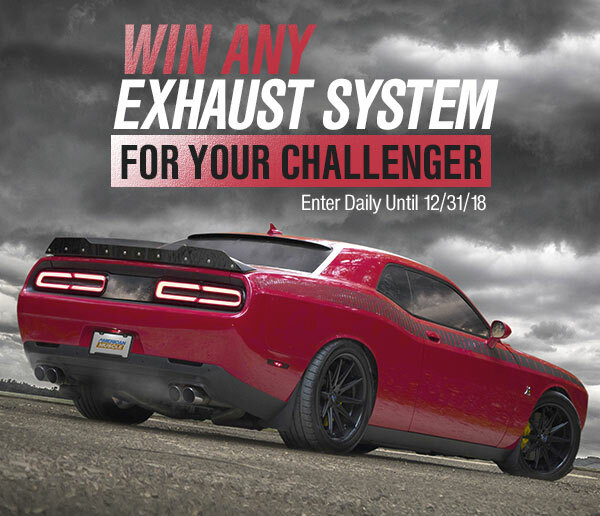 Around the office at Turn5, we joke that AmericanMuscle Challenger is the “Exhaust Store” and with this month’s Challenger parts sweepstakes, dubbed “Unleash the Beast”, participants can enter daily to win the exhaust system of their choosing—a value of up to $2000!